If you are going through the difficult and heart-wrenching process of burying a loved one, the trustworthiness of a funeral home is probably not at the top of your list of concerns. Most funeral homes treat their customers with the respect and sensitivity that you would expect, however it is not always clear what may be going on behind closed doors. This is especially true if you notice that the front of the house is not well maintained. In many cases, a funeral home will not only be happy to show you around, they will make a tour part of your consultation. Being wary of showing the facility is a sign that something may be amiss. Nowadays, it is easy to find reviews on just about every business; funeral homes are no exception. Take a look at the funeral home’s listing on Yelp or Facebook, or if you prefer an even more credible source, talk to others who may have been customers there. In most cases, if there is something to be concerned about, it will be flagged in reviews. The BBB is an excellent source of historical information about any complaints or issues that a business may have experienced. If there is any evidence of wrongdoing or if, on the other hand, a funeral home is doing a great job, you will be able to find out through the Better Business Bureau. This may be something that you have already done, but reviewing a funeral home’s website could be a great way to find out how professional and reliable they are—is the website up-to-date? Is there credible information readily available? All of these can give you cues on whether or not a particular funeral home is a good choice for you. While it would be unfair to say that newer funeral homes are not providing good services, the length of time one has been in business is a legitimate way to gauge trust. Most reputable funeral homes have been operating for decades and have a strong, recognizable presence in their communities. If you find a newer funeral home, no need to automatically discount it, but you might want to look even closer at their website, their facility and their reviews. A bit of research can go a long way in ensuring that you are dealing with an honest, respectable funeral home. These are some great tips for making sure you can trust your funeral home. I definitely agree that finding reviews online is a great way to get opinions. I wouldn’t want to choose a funeral home without hearing other people’s opinion on them. I hadn’t thought about looking at the BBB when planning the funeral. We’re trying to decide on a place for my grandmother’s viewing right now, and I think that would be a great idea. I think hearing about any issues or complaints would be a good way to decide on a funeral home! I had heard in the past that it was important to choose a good funeral home, to ensure that memorial services are handled well. You wrote that you should check out their website, as they often outline their services and other valuable information. Since visiting websites is easier than physically driving out to different funeral homes, I’ll have to remember this. I like how you mentioned the value of checking online for reviews before choosing a funeral home. My husband and I are trying to plan for the future, so we’re trying to find a good funeral home we can pre-plan our funeral with. I hadn’t really thought of checking reviews for a service like this, but I’m sure it could be insightful, so we’ll make sure to read some before we make a decision. I am glad to know that checking the service’s website can be a helpful thing to do when choosing a funeral home. I am glad to know that this can help you determine how professional and reliable they are. It would be good to come with a list of questions when meeting the funeral director for the first time to ensure you know how the process will be carried out. Sadly, my mother recently passed. We are planning her funeral, and we want to ensure that the funeral home we choose will be a nice place to hold this memoir of my mother’s life. Thanks for sharing these tips to help us feel confident in our choice. We will be sure to take your suggestion to tour the facility and see if they accommodate this request and make it part of the consultation. Thanks for the tips for choosing a good funeral home. I like how you said to check the BBB for any complaints about a company. To be honest, I had no idea that I could check funeral homes on their site, so this is great to learn! A family friend of mine recently passed away, so I have been trying to help the family get ready for the funeral. 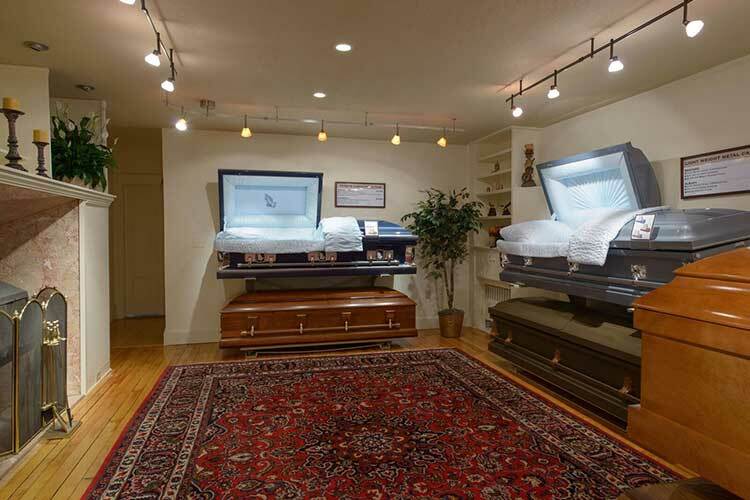 I like that you suggest touring each funeral home that you are considering to get a feel for it. I’ll have to do this so I know that all the guests can fit in the location. Sadly, a close friend of mine recently passed away and without any family left it’s fallen on me to organize his funeral. Thanks for these educational tips, it’s a great idea to check your funeral home out online, and check it out in person, but I’d add that you’d really want to get to know the funeral director and let them know your needs. Setting up a meeting with them or maybe even taking them out to lunch is a great idea to build the working relationship you’ll need to pull off your funeral. I love that you talked about finding a review for your funeral home of choice. I’m going to tell my wife about this today. We want to make sure that her dad has a beautiful funeral service next week. I want to make sure that everything goes as planned. Thanks so much! I like how you said to check out the funeral home’s website to see how professional they are. We want to try that out because we are still new in this area and don’t know a lot of people to ask. If we could look online and find out information about the funeral home, I’d feel a lot better because we really need someone professional to help us out with my grandmother’s funeral. I’ll see what we can find. My cousin passed away recently, and your tips will be great to share with my aunt and uncle for finding a funeral home. Checking the BBB is good, I agree, for getting a feel for a company. I’ll be sure to take your advice and let them know to look for a company that has been in business for a long time, as well.